Kenya National women Basketball League Champions USIU Flames got off to a flying start in the 2015 season as they defeated Ulinzi Blades 66-45 on the first day of action at Nyayo gymnasium court. USIU Dominated the match through all quarters winning 11-10, 15-8, 16-9 and 24-18 respectively with Sarah Chan leading on 13 points. 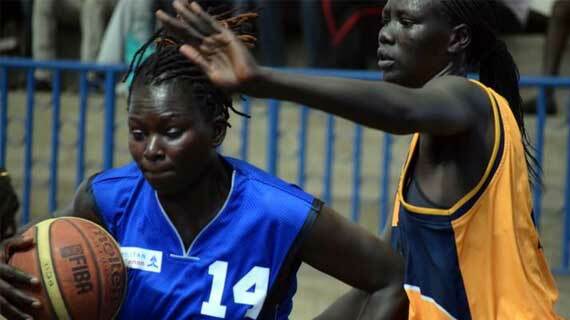 Zipporah Adhiambo managed 11 Points with Brenda Odulla and Rose Aketch having raised 15 points each for their side. In the men’s battle of the same sides, USIU Tigers lost to Ulinzi Warriors 53-64. At the same time last year’s men finalists Lions suffered a 50-60 loss in the hands of students UON Terror. Eagle Wings 52 KU Oryx 24. Photo courtesy of Basketball 254.